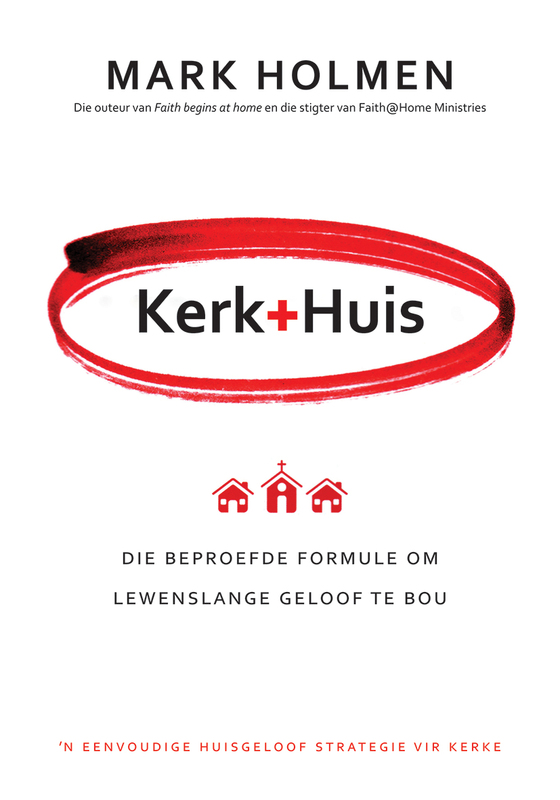 Look, Listen & Live Sunday School Series: The authority of Christ, the Saviour, is not only that He came to earth to serve and save humankind, but to be a Lord, and be worshipped. 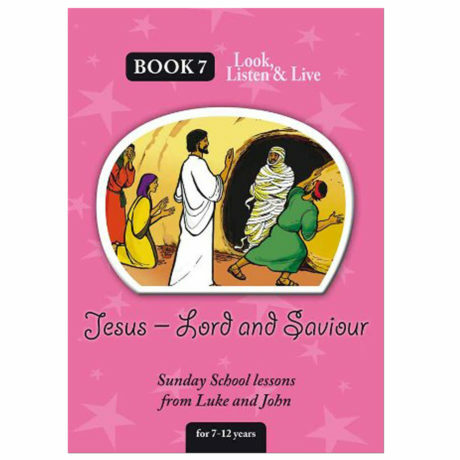 The seventh in a series of eight Sunday School leaders’ guide books, with 24 complete Sunday School lessons for children between the ages of 7-12. 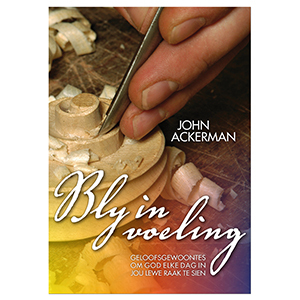 Through these New Testament book studies of Luke and John, you will discover the safety that there is in His all-knowingness. The leaders’ guide books complement the Look, Listen & Live Picture books. SUMMARY: The authority of Christ, the Saviour, is not only that He came to earth to serve and save humankind, but to be a Lord, and be worshipped. 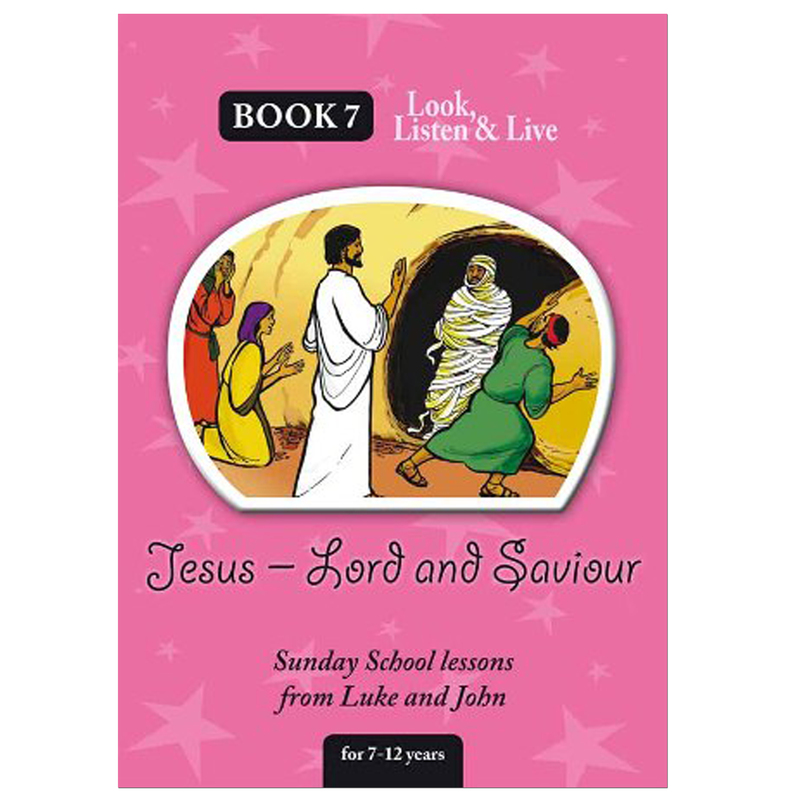 The seventh in a series of eight Sunday School leaders’ guide books, with 24 complete Sunday School lessons for children between the ages of 7-12. Through these New Testament book studies of Luke and John, you will discover the safety that there is in His all-knowingness. The leaders’ guide books complement the Look, Listen & Live Picture books. The Books were conceived and written by Sunday School teachers from Sudan for Global Recording Network. Good News Media adapted the books for local use. 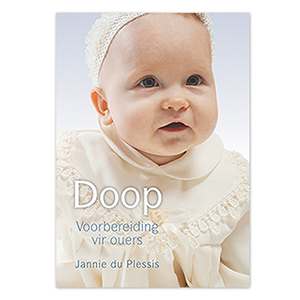 The books can be used on their own, or in conjunction with Look, Listen & Live colour picture books.